Elon Musk is the CEO of Tesla and the founder of fledgling space transport company SpaceX, but he's clearly not satisfied yet. The inventor and entrepreneur previously hinted at an ultra-fast mode of transport called Hyperloop; We're still unclear on how it will work, but it looks like we finally might in under a month and we're betting that the guy behind a private Space travel firm has the gumption to make it a reality. Musk tweeted on Monday morning that he's planning to release an early design for the project in mid-August. So what do we know about Hyperloop? 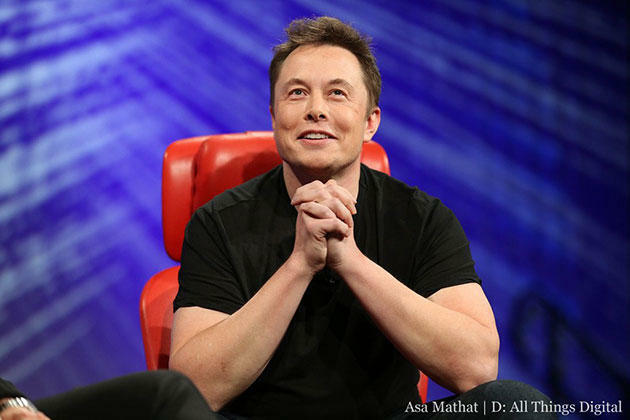 Musk first announced the transit system at a PandoDaily event in 2012 where he said that the $6 billion project will carry people from San Francisco to LA in just 30 minutes (over three times faster than proposed high speed trains). Last May at D11, Musk touched on Hyperloop again, describing is as "a cross between a Concorde, a rail gun and an air hockey table." Musk also claims that the Hyperloop will "never crash" and is also immune to weather, calling it a fifth mode of transport. The project sounds like something out of The Jetsons or Futurama, but Musk promises it's possible. Hopefully, we'll finally see what he's talking about next month.